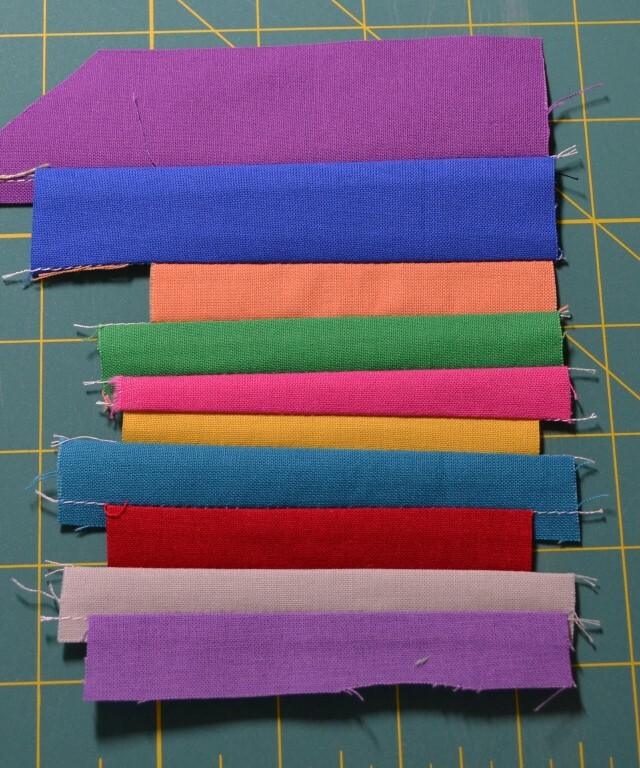 I was working on my For the Love of Solids Project and happen to have some scrappy scraps of Kona solids so I sewed them together (with nothing in mind) and then....it came to me. Any ideas of that this might turn into? I'll let you guess in the comments and the first person that gets it correct, will get one, custom made by me for you, if you would like. Guess until the post is closed! 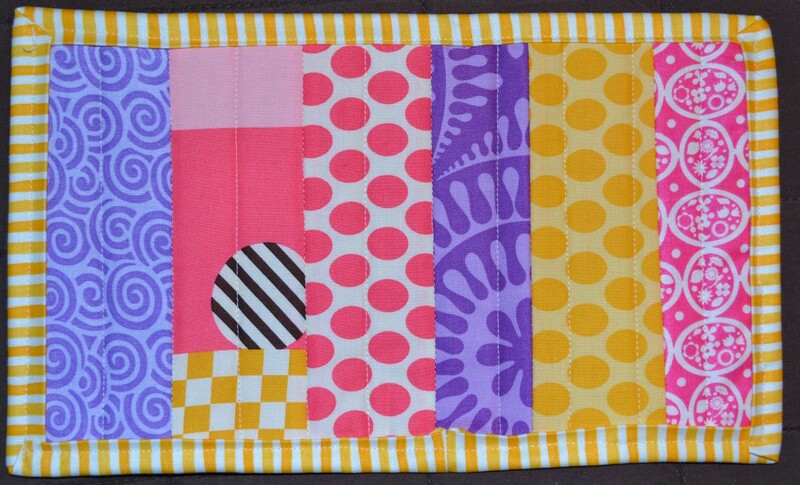 So remember a couple of months ago when I was excited about sending my fabrics away to the Tumbler Party? They have come home and I have started working on this quilt top. I tried arranging them many different ways but have decided on random so it is exciting to watch as this one becomes a top! 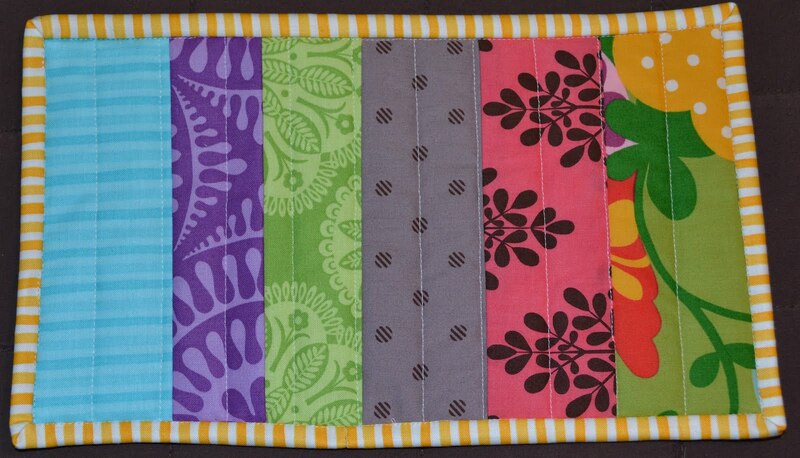 Jill (from that moxie girl) asked us to do this block for her for March. 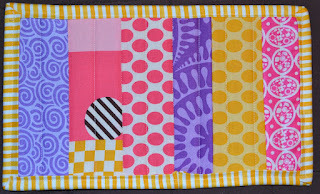 I love the vibrant colors of the fabrics she choose and am happy to report that even though this is for March, it is already done and in the mailbox on the way back to her! 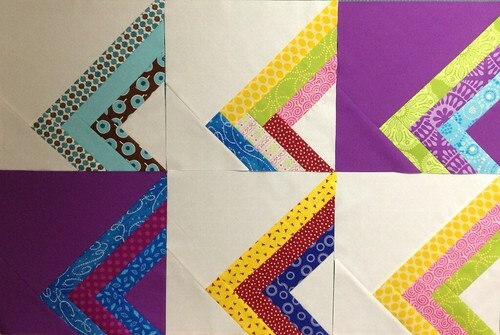 We are selecting blocks from the Modern Blocks book that came out last fall. This book is fantastic! There are blocks for all different skill levels and it's just so fun to see what other folks come up with and pick for when they are the hostess for each month. If you are curious about the previous blocks, visit the January and February links to see what we've been creating in this bee! 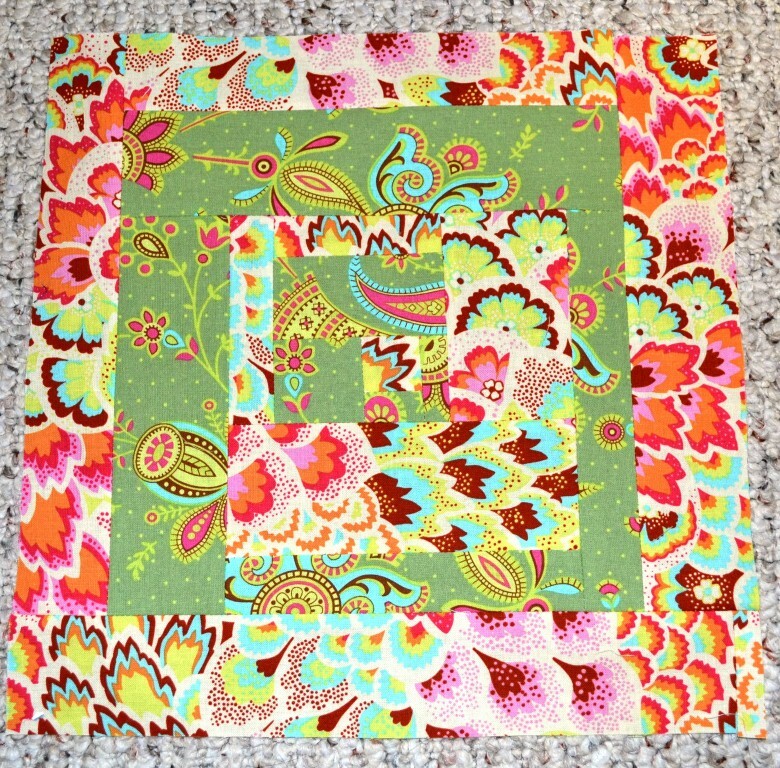 My first attempt at an Alissa block was here, and now I have tried another one! 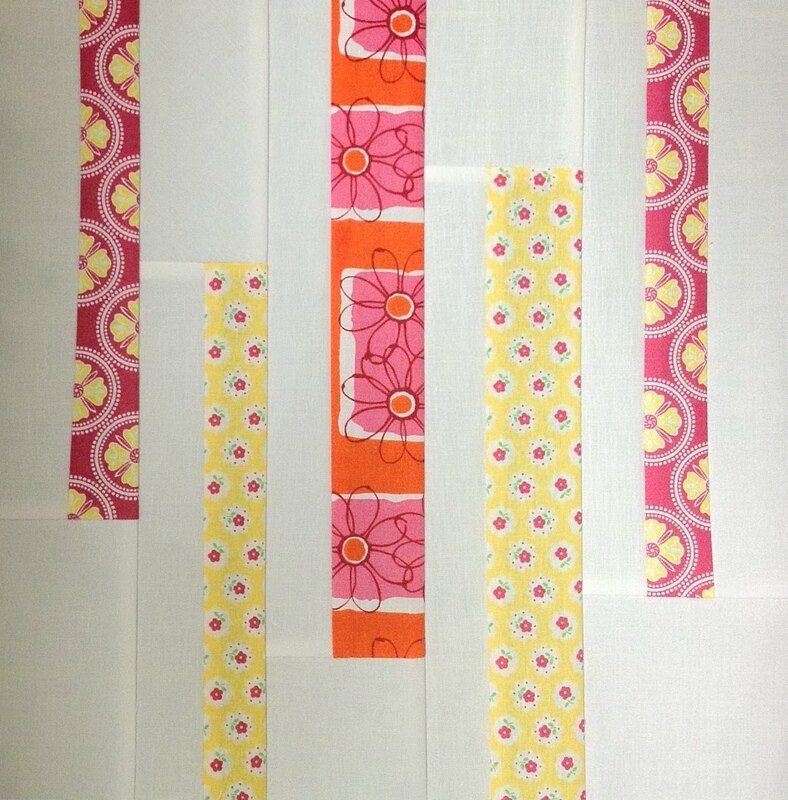 This is the pattern that the gals at the FWMQG wanted to do for our February meeting using our own color scheme. I plan to use this in my rainbow quilt, which I will be arranging soon. Thanks for visiting and Happy Friday! 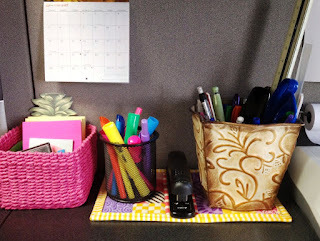 Do you remember the mug rug I made earlier this week? Well here it is in action! I had expected to use it for my cup or glass but it much better suited for my pens/pencils and highlighters. The pink basket houses all of my post-it notes and tape flags so this goes perfectly! I'll just have to whip up another one for my beverage! I was never sure if I liked this block. Is it to modern? (Honestly, I don't think that is possible). Will it look ok as just one block? 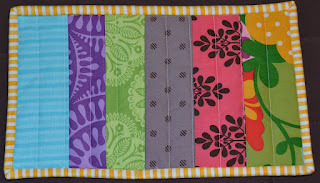 (I ask because I made one block for each of my hive members in my NuBees February Block Swap). Mmmm, what about different color combinations? February was the month to dig in (about time since it was posted in October). They look great, they are modern, and I am happy! 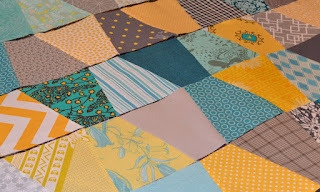 These blocks do have a bit of extra fabric left over, but they sure are pretty and that more than makes up for it. 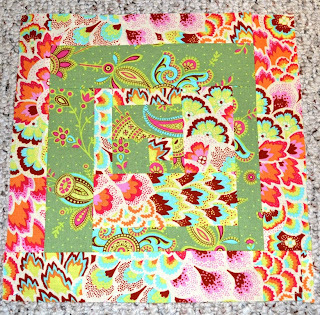 If you are interested in trying this block, Ms. Alissa Haight Carlton of Handmade by Alissa has the tutorial here at Sew Mama Sew. February, in my NuBees group, requires a mosaic. So...in my normal colorful, bright style, I have created the following mosaic to assist my hive members in making a block for me. 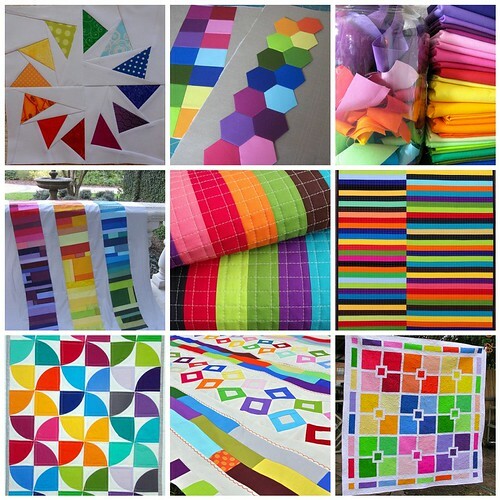 I have been using a rainbow inspiration piece since September so after this round I expect to have enough blocks for a whole quilt! 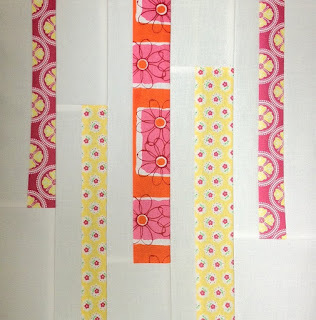 Of course, I will have to see how they look together, but I envision bright solid sashing - we'll see.